Research tells us over and over again how valuable the outdoors is for us all. However how often do we really go outdoors, other than just getting to the car or catching a bus? Although the Autumn/Winter seasons can be a little harsh, children still love the outdoors at this time of year. Children learn so much from being outdoors. They can climb and jump much more freely; they can get dirty and have fun! Outdoor play can really support a parent’s wellbeing too. Most adults would acknowledge that going for a walk increases their wellbeing and helps them deal with any challenges they may face. Go for a nature walk. Every part of Ireland allows you to access a field or park of some sort. Take yourself and your children for a walk to see what nature has to offer. Collect leaves and berries, nuts and cones. Make a project of it, if you wish, when you return home. Help them identify the different leaves and the nuts and cones that match each tree. Talk with them about what berries you can eat and which ones are just for the birds. Bird Watch. There are many lakes and water ways around the country which are great for bird watching. You can join an organised group or just visit the library and get some idea of the birds in your area. Make it a treasure hunt to see how many you can spot in the one afternoon. Most children are fascinated by nature. Bird Watch Ireland has great resources and often organise free family-friendly events around the country, as do Bat Conservation Ireland and many other wildlife and environmental organisations. Take a picnic and practice some mindfulness. Having hot chocolate while sitting in a field or near a lake or river is very healing. Children again can feel very relaxed and often talk more openly with you about any challenges they may have. Home offers a lot of distractions to you both. Visit a local forest. Children love the leisure of walking through forests and not having to hold hands with an adult all the time. Children enjoy their freedom and it is crucial they have these opportunities as they grow. Allow them climb up hills and roll back down. Allow them dig and collect treasure. The things that fascinate them most are likely to have arose the same feelings in you once upon a time. Make it social. Often when we plan days out and play dates they involve indoor activities which can cost a lot of money. Why not take a ball to the park? Go cycling? You can hire bikes in many forests and parks. Take a kite, the weather is here! Blow bubbles. Become an artist. What could be more therapeutic and fun than taking the sketch pads and markers to a lovely spot outdoors. Ask your children to draw what they see. It doesn’t matter what age they are, they will attempt this. You can then talk about what you see and maybe have some new art work to pass onto family for Christmas or to hang in your home. In the garden. How many gardens are left idle all winter? Once the grass stops growing we can feel our work is done till next spring. If you have access to a garden, encourage your children to spend time outside there every day. 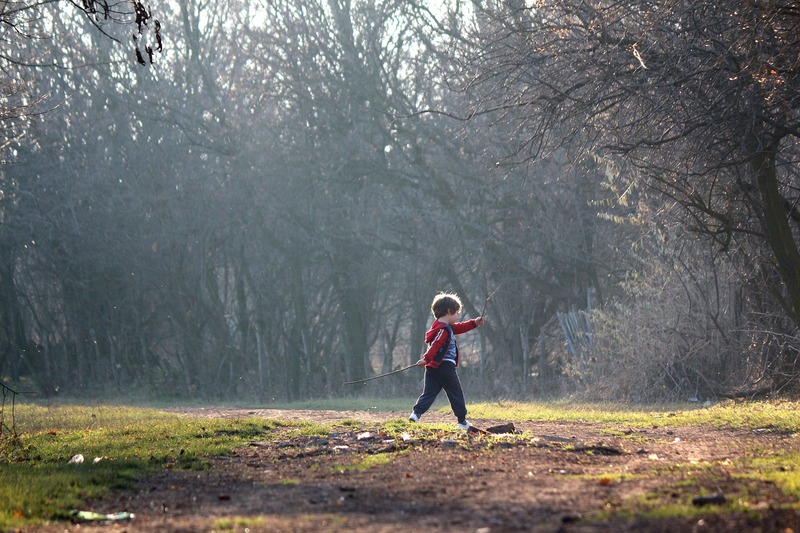 When children go outside and run about freely they can burn off vast amounts of energy. If you keep them indoors all day you may have more troublesome behaviours, as they find it hard to use up the stores of energy indoors. Often when they come back in, they settle into some quiet time and things can run a lot smoother. Walk. Do you really need to take the car or bus so much? Look at where you can introduce some extra walking, even simply getting off the bus one stop earlier. Try it out for a few weeks. Children will become more energetic as they get used to it. You may have to allow some extra time to get to where you are going, but it will be worth it. Children will become healthier and fitter, and most likely will have fewer colds over the winter months. Just wrap up snug and warm. Make it social. Organise to meet up with friends in the park. You can have a chance for a chat with other adults while your children enjoy being with some other children. And you won’t have to tidy up the house when go home. Surely this is enough of an incentive to meet and play outdoors! Visit a pet farm together and maybe see Santa outdoors this year, as opposed to crowded shopping centres. Even if your child is terrified of Santa, as some can be, they will enjoy the outdoors. 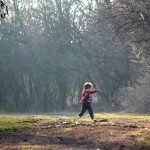 Finally, mostly my experience is that adults don’t like outdoor play and generally feel that the outdoors poses a risk. I would ask you to challenge this concept this coming winter. Winter can be the most fun time to be outdoors. Try it and share with us on Facebook what you discover. Join our new One Family Parenting Group which is a closed Facebook group (meaning that only members can read posts) that everyone is welcome to join. You could post questions and share your experiences, and take part in a live weekly Q&A with Geraldine. Find out more about our parenting skills programmes and parent supports. For support and information on these or any related topics, call askonefamily on lo-call 1890 66 22 12 / 01 662 9212 or email support@onefamily.ie. Consider having a party in your own home for your children and some friends. Trick-or-treating can start about 4pm and a little party from 6-8pm. Play some games at home such as biting the apple from a string or finding coins in green gunk. Wall paper paste mixed with green food colouring makes excellent, low-cost goo that’s fun for children to squelch their hands in. Click here for more games ideas. Try making costumes at home which can be great fun and cost effective. Use flame-resistant materials and if you plan to go out to trick-or-treat in the evening, you might want to attach reflective strips to dark-coloured costumes. Experiment with face paints. Let children practice on you too, they’ll really enjoy that. You might like to test a small area of your child’s skin for allergic reaction in advance, and always follow the instructions on the packet. Try making Halloween treats together: children enjoy supervised cooking. Making things together will support good quality relationships. Visit Bord Bia for Halloween recipes to make together. 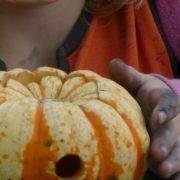 Carving pumpkins to create ‘jack-o-lanterns’ is lots of creative fun but never let a young child do the carving. If you are allowing an older child to pumpkin carve, give them age-appropriate tools only, follow a simple design, and supervise them carefully. And of course, never leave children unsupervised in a room or area with candles lighting. If you are going trick-or-treating, encourage children to learn ‘treats’ such as singing a song or reciting a poem. Performing a song or poem on the doorstep was traditional at Halloween in most parts of Ireland until recently. Children feel very proud of themselves when they actually do it. Be vigilant and aware of safety at all times. Agree a route (for trick-or-treating) in advance and what doors they are allowed to knock on. If you are driving anywhere, remember to slow down and watch out for other excited little trick-or-treaters. Never allow children under 14 years old out on their own. Children should never be allowed into the homes of strangers. Always be very close by, watching the engagement and ready to intervene if necessary. Be conscious that some children may be anxious or scared at Halloween. It’s dark, there may be the loud noises of fireworks, there are lots of strange figures about. Most of all, enjoy the celebrations. Happy Halloween! One Family is conducting a survey to analysis its Parenting Programmes. Currently running in various locations and online, this survey will help evaluate the programmes as they are and be informative in planning of future programmes. Whether you have done a course with us before, are thinking about doing one or have not contemplated doing one we would love to hear from you. We will use this information to plan future courses and try and ensure we are offering what lone parents, parents sharing parenting, or separating need. Your help is valued and much appreciated. Please forward this survey to anyone you think would be interested. https://onefamily.ie/wp-content/uploads/2017/09/One_Family_Logo_340x156px_web-1-224x103.jpg 0 0 Comms https://onefamily.ie/wp-content/uploads/2017/09/One_Family_Logo_340x156px_web-1-224x103.jpg Comms2017-07-06 11:54:112017-07-06 11:54:11Parenting Programmes Survey - Help Needed! Christmas is about creating memories with our children. Regardless of what our parents did, or what our families and friends expect, it is about creating your own traditions. 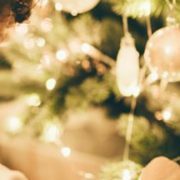 If you are sharing parenting of your children and it is impossible for both parents to be with their children on the Christmas Day, why not spread Christmas out and make the most of the two weeks of Christmas. Children see the two weeks they are off school as Christmas. This gives us two weeks to create traditions with our children. When it comes to planning, think simple, not extravagant. Try baking a cake to leave out for Santa. 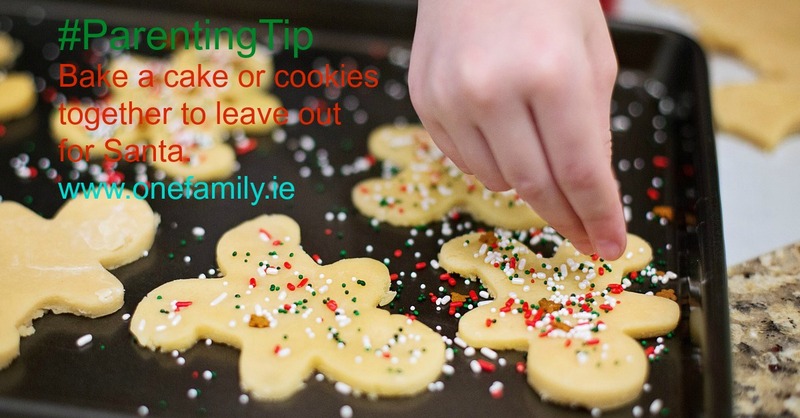 Children love baking and it can be a very relaxing activity. Or you could consider buying a good value ready-made cake that has not yet been decorated. You can allow your creativity to flow and decorate it together. Your children will be very excited to share it with Santa. Use some money that perhaps was allocated for present shopping for a day out at the Christmas panto. It shouldn’t break the budget. From local community halls to the big stage, children will enjoy them all. These are memories that will stay with your child for ever. Plan Christmas Eve in advance. Does it need to be so busy? Can part of the day be spent relaxing? There are lots of things you could do. Go for walk in the local park, enjoy the atmosphere. Visit the Christmas markets and enjoy the smells, sights and sounds. Have breakfast together as a family, think back over the year and look forward to the next. Try to avoid doing things because just others – whether family members or friends – expect you to. Do what suits your family and enjoy the time with them. Christmas will be over very fast and you will wonder what it was all about otherwise. Christmas is what you make it. Don’t be a perfectionist. There’s no need to stress if it does not work out exactly the way you envisaged and planned. Things go wrong sometimes. A sense of bonding between the family is still created. This article is part of our weekly series of parenting tips, and is by One Family’s Director of Children and Parenting Services, Geraldine Kelly. We wish you and your family a Happy Christmas and New Year from all at One Family. For support and information on these or any related topics, call askonefamily on lo-call 1890 66 22 12 or email support@onefamily.ie. Everyone has bad days with children, days when we don’t handle situations well, days when we want to scream and run out the door. It is normal to a certain extent to feel this way. Parenting is the hardest job in the world at times, and the most unrecognised and unsupported. When doing it on your own it can be even more difficult as you don’t have someone who can take over when you feel you need a break. The lead up to Christmas can pile on additional stress. Our heads can be full of so many issues that when the children start to act up, it can be the final straw. Usually the children are more challenging because they know and feel that you are not present for them. They have needs which are not being met and they don’t know how to tell you about how they feel. All they know is how to act it out. Learn to recognise your levels of stress. Take time each day to reflect on how you are feeling. Try to identify things that went well each day, no matter how small they are. 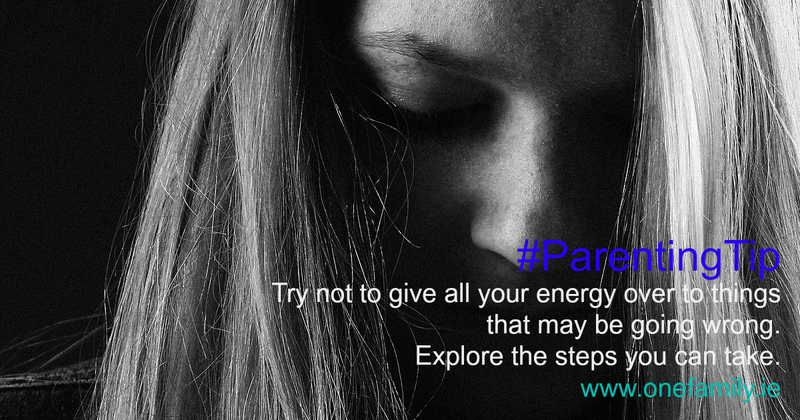 Try not to give all your energy to what is going wrong. Explore who can help you, what steps can you take. Make a list of the issues you need to resolve. Try to be less critical of yourself. Name the things you are good at, focus on these. Create time to think and plan – can children go on play dates to allow this happen for you? 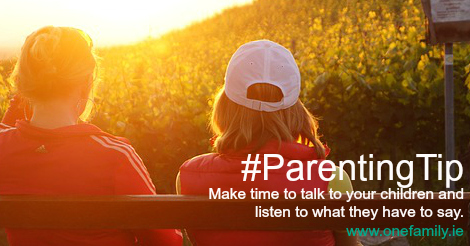 Talk with your children about what is going on and help them to form a plan with you. Hear what it is like for them. Don’t give up. Your children need you and no one can replace you. You need to believe that you are the right person to parent your children. Join a parenting group to get support from other parents and learn new skills and knowledge which will help you understand your children. Identify your needs. Where are the gaps? You will need to be creative in finding ways to meet these needs. By parenting yourself you will be able to parent your children. Seek professional support if you feel really low. Call theaskonefamily helpline to talk with someone. Talking can usually help you understand what is going wrong and what changes you can make. Seek support from your GP or contact your local social worker if you feel you need support around mental health, addiction or abuse. Remember, there are people out there who can and want to support you to parent. Ask for the support if you can. It does not make you a poor parent if you need to get support from others. Nobody can parent on their own, being brave enough to ask for help and support is what makes you a great parent as you recognise that you and your children need help. Listening is not the same as hearing. To listen means to pay attention not just to what is being said but how it is being said, including paying attention to the types of words used, the tone of voice and body language. The key to understanding is effective listening. In this week’s ’10 Ways to’ we look at how to improve listening in the home. Do I listen? Ask yourself what type of listener you are. Are you focused or distracted? Empathetic or impatient? Stop shouting: Children do not respond positively to shouting so try always to speak in a calm manner. Eye contact: When talking to your child, get down to their level and look them in the eye. Be clear: Do your children understand what you are saying to them? Clarify if needed. Family meetings: Talk as a family about what not listening to each other causes within the family – ask if everyone would like things to be better. Reward: Notice good listening and reward it. Remember: Put a note up somewhere, like on the fridge, to remind you as a parent to listen. Make time: Make time – at meals, when children come in from school, when parents come in from work – to talk to each other and listen to your children have to say. Active listening: Practice actively listening to what your children say. Down tools and stop what you’re doing to listen, or ask them to wait until you can give them 100% of your attention (but not too long). Building relationships: Listening to your child and other family members increases positive behaviour in the home and improves relationships. When it comes to minor scrapes and falls, some children brush them off easily. Other children stop and seek sympathy with every scratch and scrape. Children can often seek sympathy for attention. Most parents, no matter how busy they are, will stop whatever they are doing when a child cries out from an injury. 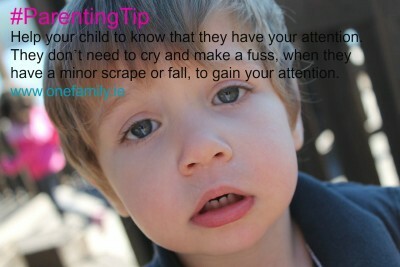 Children learn very early that crying gets attention. Another reason for tears after falls is that children enjoy the kindness of the care they receive: the nursing from a parent, the kiss and hug, the plasters. Most children see plasters as the crowning glory for their cut or scrape. The plaster can signal for a number of hours or days that an injury occurred gaining further attention that the child may need and enjoy. Some children have low pain thresholds and any bump or scrape could be of great sensitivity for them. Their coping skills could be very low around injuries or blood and they get upset. The upset could last anything from seconds to an hour or longer. If you have a very young child who is just becoming mobile, try to stay calm when they tumble over. React slowly and check out what is happening as you approach them. Allow them time to assert themselves before you take over. They may recover without you grabbing them up and examining them all over. If they do get up by themselves, praise them by saying “You toppled over but look you managed to get up again, well done, let me check your head for bumps”. This is giving your child attention as required but also letting them know that they have coping skills. When children do have accidents, focus on what happened and try to console them without scolding them. There will be time later to talk to them about the dangers of what they were doing that led to the accident. When they are hurt is not the time. It is important that the child has not learned that there is more danger is seeking attention than what was inflicted from the injury. Remember that often the worry of what might have happened becomes bigger than what actually did happen. The fear creates a great level of anxiety for both the child and the parent. Acknowledge that they are hurt, praise them for bravery and treat the injury. This could be kisses, cuddles or plasters, or all three. Move on. Continue to talk about their bravery but continue to acknowledge the injury if they need that also. Don’t dwell on it. Focusing on other things such as how brave they were helps them to move on. When it comes to sports, coaches often say that more and more children are leaving the pitch in tears from injuries. Help children to know they will recover and that it wasn’t done in badness (by their opponent). In games tackles are hard but it is part of the game. Help them to understand the difference between intentional and accidental. Make sure you are giving your child lots of positive attention when they are playing well, helping you, or doing anything about the home and engaging with you. Help your child to see that they have your attention. They don’t need to be injured to gain your attention. Never withhold attention to an injury as you may miss an actual injury complication. Breaks and sprains are not always obvious in a child. Explore how you deal with injuries. Do you blame others for causing them? Do you look for sympathy or complain when you get none? We are our children’s role models so our children reflect our behaviour. Explore self soothing ways of dealing with injuries and feelings of sadness: a special blanket, a hot chocolate, a movie they like to watch. Self soothing is important for when they are older. Help them to find ways to support themselves and they will grown into resilient and strong adults. Point out to your child how well they cope at so many things in life: going to school, making friends, visiting the doctor and other everyday things. Then reinforce this when small injuries occur. Later you can give them the hug for coping so well when they relay the story of what happened. Remember, resilience is the key to good future mental health. This article is part of our weekly ’10 ways to’ parenting tips, and is by One Family’s Director of Children and Parenting Services, Geraldine Kelly. Many children I know have advent calendars. They are in many shops ranging in price from one euro to about four euro. Children love the chocolate, perhaps eating it for breakfast every day in December, wild with the excitement of Santa. 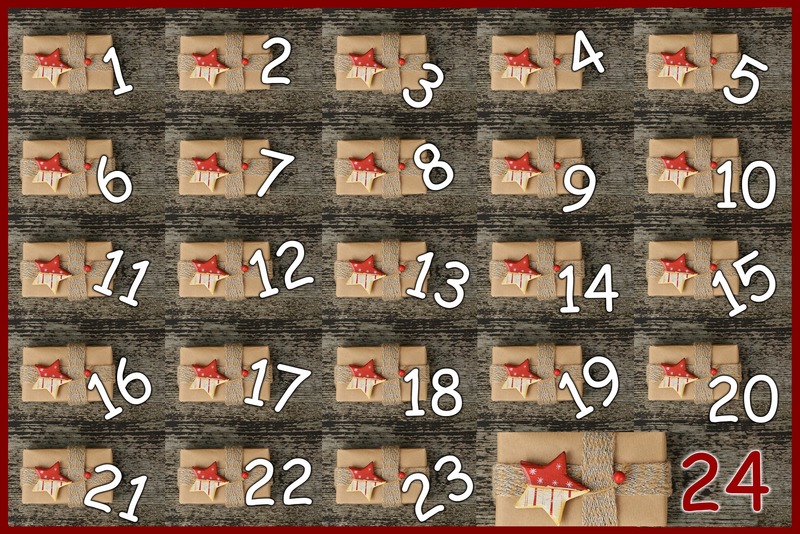 A parent in our Facebook parenting group came up with a great idea for an alternative Advent calendar. 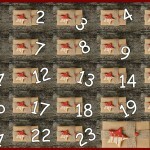 For each day of the Advent calendar, your child and everyone in the house has to do a kind act or deed. This means that everyone has to do 24 kind deeds before Christmas Day. 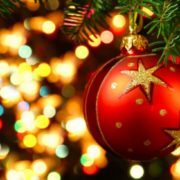 It will support your children, and everyone in the home, to think of others at this time of the year. It is not just about giving, it is about trying to be kinder, more caring, more thoughtful and giving to each other in the days leading up to Christmas. If you agree to carry out the Good Deed Advent Calendar why not write down all the good deeds and place them into a box each day. There could then be a special celebration on Christmas Eve. Simply give hugs to each other more often. Help each other with tasks without being asked. Offer to help parents and grandparents. Put coins in the poor box at the shops. Gather toys and clothes that are no longer needed for a charity shop. Befriend a child at school who has no real friends. Older children could prepare dinner once a week for the family. Older children could also play with a younger sibling that they don’t usually make enough time for. Think about others’ needs and not just their own.